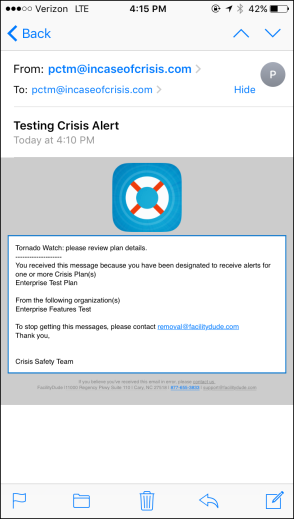 Push notifications allow you to quickly send messages from Safety Center to your end users' mobile device and/or email. From the home page, click on the Plans tab at the top of the screen. Select Push Message Templates from the drop down menu. In the Content field, enter the message you would like to be included in the template. *Note: There is a maximum of 255 characters for the Content field of each template. Check the box next to Share with Sub Orgs if you would like users associated with your Sub Orgs to be able to select the template. If your account utilizes Sub Orgs and you would like to include the name of the Sub Org in the content of the message template, enter [OrgName] wherever you would like the name of the Sub Org to appear. When the push message is sent out using the template, the name of the Sub Org will replace the [OrgName] text. If applicable, check the box next to Confirm Before Sending. Check the box next to Allow Custom Input if you would like a user to be able to edit the content of a push message after selecting the template. Click Insert to add this template to Safety Center. From the home page, click Send New Push Message from the Recent Messages section. 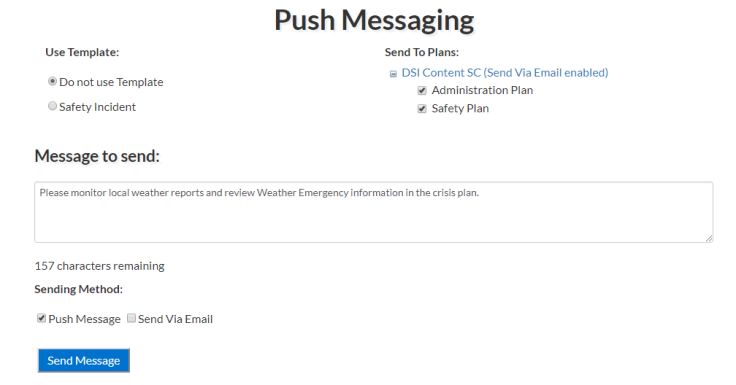 If you would like to use a push message template, select the template under the Use Template section. 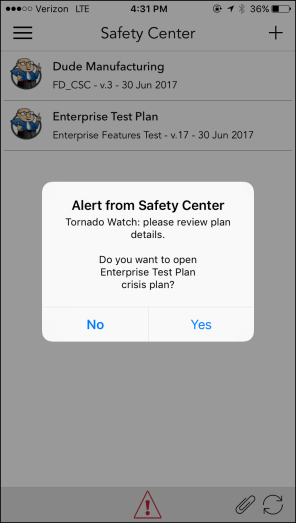 Check the box next to the plan(s) you want to send the notification to. If you did not select a template, enter the text you want to appear in the message in the Messages to send text field. *Note: There is a 255 character limit for push messages. You can select that the message will be a Push Message on a mobile device, an Email, or both. *Note: If you do not see the "Send Via Email" option, please contact our support team at 1-877-655-DUDE (3833) to have this feature enabled.